Deep tissue massage,Therapeutic massage, Pressure points massage therapies, Acupressure massage, Swedish massage, Pregnancy massage, Indian Head massage, Thai Yoga, Hot Stones performed by a therapist can be very effective both as prevention and as a treatment for many health conditions, including headaches, general aches and pains, colds and flu, arthritis, allergies, asthma, nervous tension, menstrual cramps, sinus problems, sprains, tennis elbow, and toothaches, among others. Please check our full range of treatments and prices. Acupressure massage has been used as an ancient Asian healing method for over thousands of years. The therapist uses massage techniques (with fingers, palms, elbows, knees, and feet etc.) to pressure points on the surface of the body to stimulate the body's natural self-curative abilities. Nowadays, acupressure massage or pressure points massage has become a useful therapy which strives to promote wellness and vitality by restoring the body into a state of balance, flexibility and health. 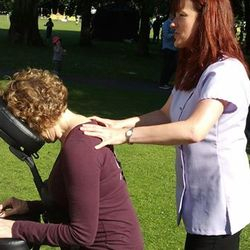 Pressure Points Massage in York is able to offer a choice of massage therapies to suit your needs. 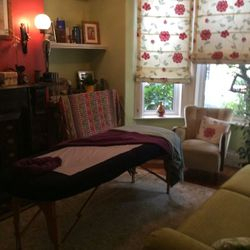 Cathy Hagan is a qualified, registered and insured therapists who can help to resolve a problem, revitalise tired muscles or simply make you feel invigorated or totally relaxed. Therapeutic massage is a general term that describes any type of massage that helps relieve pain, reduce stress, and work on a specific problem—such as a frozen shoulder. Pressure points massage therapies, Acupressure massage and Holistic healing, Acupressure is a complementary therapy using pressure points similar to those in acupuncture, but without needles. Swedish Massage, The most common type of massage is Swedish massage therapy. It involves soft, long, kneading strokes, as well as light, rhythmic, tapping strokes, on topmost layers of muscles. This is also combined with movement of the joints. By relieving muscle tension, Swedish therapy can be both relaxing and energising. And it may even help after an injury. Deep Tissue Massage, is a type of massage therapy that focuses on realigning deeper layers of muscles and connective tissue. It is especially helpful for chronically tense and contracted areas such as stiff necks, low back tightness, and sore shoulders. Indian Head Massage, involves a therapist massaging your neck, head, and face. It aims to make you feel more relaxed. Thai Yoga, Traditional Thai Massage or Thai Yoga Massage - is a unique and powerful healing art that has been an integral part of traditional Thai medicine for thousands of years. Hot Stones, relieves chronic stress and tension stored in muscle, decreases pain and muscle spasms, the heat increases circulation of fluids where the stones are placed, decreases pain and muscle spasm. To help you decide which one is right for you please contact me for advice. Having a regular massage is a wonderful way to relax and nurture yourself when you have had a baby. You may be suffering from neck and shoulder tension due to breastfeeding, you will certainly be tired due to broken sleep patterns and you may be stressed, although undoubtedly blessed, by the new addition to your family! 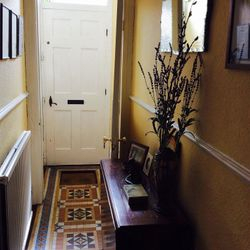 Pressure Points Massage Therapies in York have a range of treatments to relax both body and mind and you will get 10% off any treatment if you book on line. Contact me. 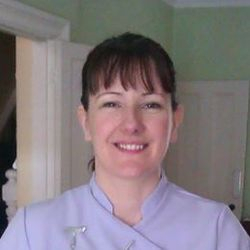 BE PAMPERED MASSAGE PARTIES: by Pressure Points Massage Therapies in York. Why not spoil yourself and some friends with some treatments in the comfort of your own home? As party hostess you'll get a 50% discount off your treatment if you book in 5 friends for a 30 minute treatment each! Contact me now for more details.